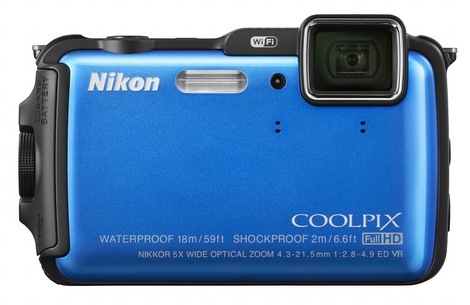 The Nikon CoolPix AW120 is a very sturdy "LifeProof" compact digicam. It will be able to withstand your wild adventures or just a day with the family. Image quality is good for a compact, and its feature set is as good as you will find anywhere else. Read more in our Full Conclusion. Earlier in 2014, Nikon announced their latest "all weather" series camera, the Coolpix AW120. This "lifeproof" style camera boasts a waterproof rating down to 59 feet, plus the ability to survive drops of up to 6.6 feet and temperatures as low as 14°F (-10°C). Add to that a 16-megapixel CMOS image sensor capable of recording HD Video and capturing 6.9 frames-per-second Continuous Shooting (stills). The 5x optical zoom lens is good for 24-120mm (35mm equivalent) and has an f/2.8 maximum aperture. The 3.0-inch OLED display is large and easy to see, even underwater. Other nice features include an intuitive GUI (graphic user interface) that has Action Control Functions, which allow users to operate the camera with thick gloves. Built-in Wi-Fi allows you to transfer images and videos to smartphone to then share via the web. Built-in GPS is also a must for any adventurer, but the AW120 isn't simply concerned with geo-tagging. The camera also includes maps and an electronic compass to help you find your way around. 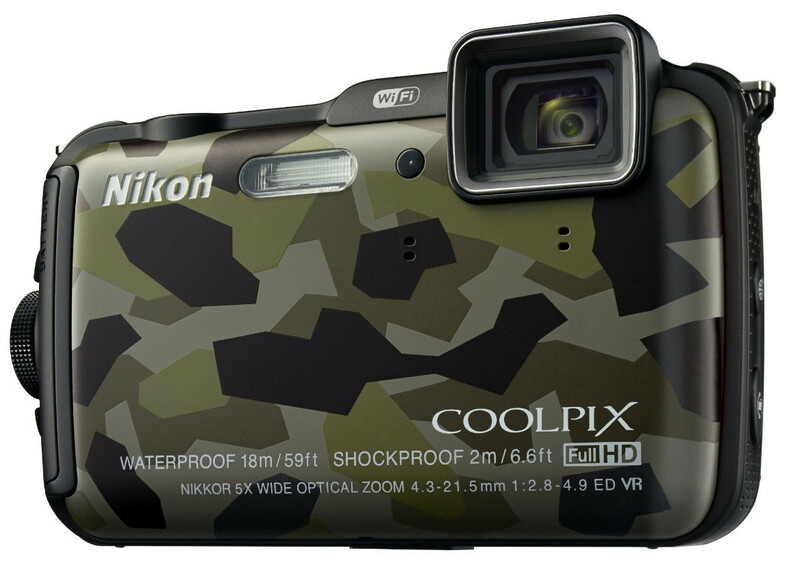 The Nikon Coolpix AW120 is available in Orange, Blue, Black and Camouflage with an MSRP of $349.95. See our lowest price box at the top right of this page to see the most current online pricing.